This week’s correspondence features questions on Janjucetus, a whale fossil supposedly intermediate between toothed and baleen whales, a purported information-increasing mutation, and the meaning of Genesis. Janjucetus doesn’t represent a step in the evolution of baleen whales. Hi, Firstly I am a great fan of CMI. If you have time to answer this question I would greatly appreciate it, if not its fine, we are not in any danger of believing evolution, I just want to teach my children that it is a good practice to evaluate (and study) for yourself things that are taught. My daughter has just started year seven with the Distance Education Centre Victoria. It is a public school. She was recently asked to view a video from the website of the Victorian museum on whale evolution [Web link removed as per feedback rule—Ed.] and from that write out the proof of whale evolution. I have copied below one of the comments that was made on the video. “Meet Janjucetus. Janjucetus is a spectacular fossil discovered in the late1990s near Torquay here in Victoria. “Janjucetus is not only a beautiful fossil, it’s a beautiful example of a transitional form between the ancient Dorudon and the modern baleen whales such as the Blue Whale as you can see behind me here.” Erich Fitzgerald. We can’t find anything helpful on the internet about the Janjucetus fossil, Do you have any information on it? I must admit that this is a new one to me. It suggests that it is not highly regarded among evolutionists. From what I can find out, this is yet another desperate intermediate that has none of the major features of its alleged descendants, but there are supposedly some minor features in common. I.e. there doesn’t seem to be a trace of baleen, and it would have been a predator of large animals rather than a sort of filter feeder (baleen filters krill). 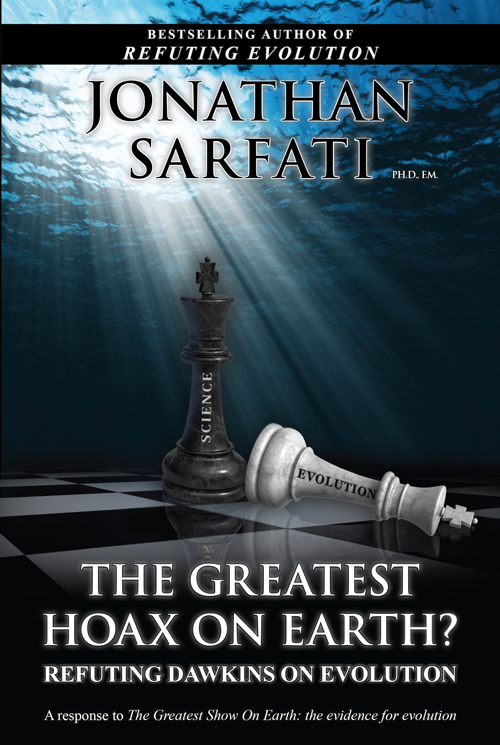 My latest book The Greatest Hoax on Earth? has two chapters on intermediates. Some of the same principles apply. For instance, another alleged whale intermediate, Pakicetus, was also identified as a whale ancestor based on certain skull similarities, but is now known to be a fast running land mammal Not at all like a whale. Also, whales were thought to be descended from mesonychids based on certain similarities. Now they are thought to be descended from artiodactyls—but this means that the supposedly conclusive similarities can no longer be proof of common ancestry, but convergence or homoplasy. 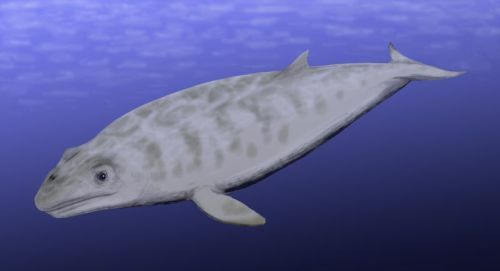 Furthermore, even some evolutionists regard creatures like Dorudon and the much larger but otherwise similar Basilosaurus as not ancestral to modern whales—they lacked the melon organ for one thing. You might also like to check the latest Creation magazine, which has an important article by Dr Don Batten: Rodhocetus and other stories of whale evolution, Creation 33(3):54–55, 2011. I recently posted a series of apologetics posts on a social networking site. In one of these posts I presented the effective argument that natural selection is not capable of producing the kind of information increasing changes necessary for molecules-to-man evolution. However, I received a reply from a commenter stating that my scholarship was lacking and siting the gain of pumps in cancer cells that make them resistant to chemotherapy drugs as support for a function adding mutation. I had previously read several articles on your site regarding bacteria resistance to antibiotics that you clearly show to be a result of a mutational loss of information. However, I have never encountered the argument that this blogger posted before and can find no articles on your site that deal directly with this issue. I would like to know how you would treat this argument and if there is a clear, logical refutation, so that I can be prepared, “to give a reason for the hope that is in” me. Thanks in advance! I assume your protagonist is referring to ABC transporters (ATP–Binding–Cassettes). There does not even seem to be a gain of function here: the ABC transporters are a very important part of normal cells. About 40% of breast cancer cells have ABC transporters that happen to excrete chemotherapy agents such as taxanes (see European Journal of Cancer Supplements 7(1):3–7, 2009). That is, they already have them. There is a possibility that mutations could create them also via degradation of a substrate-specific ABC transporter to make it less specific (degrading the specificity of the binding site). Mutations are good at randomizing things and making existing functions less specific, which is a loss of information and can hardly explain the voluminous increase in genetic information (specifications for complex cellular biochemical pathways and machines) for the evolution of a microbe into a microbiologist. It is not a matter of ‘gain of function’, a term used by your protagonist. Evolution has to explain addition of specified complexity, not degradation of existing specified complexity. See Gain-of-function mutations: at a loss to explain molecules-to-man evolution. It seems like your protagonist ‘shifted the goalposts’ to counter your correct statements. It is his scholarship that is lacking, not yours! However after reading your statement of faith, I am disappointed! It is my firm belief that, the days of creation were in fact “epochs” of time, many millions of years! Also Adam was not the first man upon the earth, there was a “sixth day” man! This is where Cain obtained a partner from the land of Nod! Neville, lover of God’s Word, the Bible. When the Hebrew word yom is combined with an ordinal number and ‘evening and morning’, it always and without exception refers to ordinary-length days. Your belief that the days of creation were in fact millions of years is supported nowhere in the text of Genesis or anywhere else in the Bible. When the Hebrew word yom is combined with an ordinal number and “evening and morning”, it always and without exception refers to ordinary-length days. Furthermore, the grammatical constructs used in Genesis, such as the waw consecutive, reveal that the text intends to convey actual historical events. We can see that the rest of Scripture also interprets Genesis as historical narrative. See the Days of creation subheading at Genesis questions and answers. Scripture gives no indication of pre-Adamites. Cain married a sister—Adam and Eve had “other sons and daughters” besides the three sons mentioned by name in Genesis (Genesis 5:4). See chapter 8 of the Creation Answers Book, and the recent Feedback article Cain’s wife and brother-sister intermarriage. It is important that all humans be related by blood to Adam, because this is the basis for Christ’s redeeming work—He can save us because He is our blood relative through Adam and can act as our kinsman-redeemer. See Genesis the seedbed of all Christian doctrine. 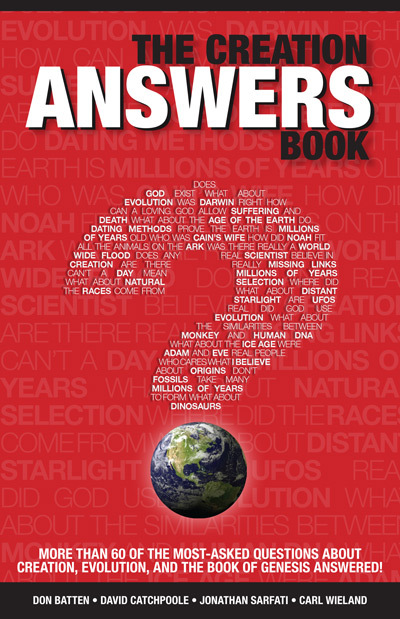 See also chapter 2 of the Creation Answers Book. Genesis questions and Answers—How long were the days mentioned in the Biblical creation account?